Halloween is in two days and Manchester has a lot to offer for the celebration. 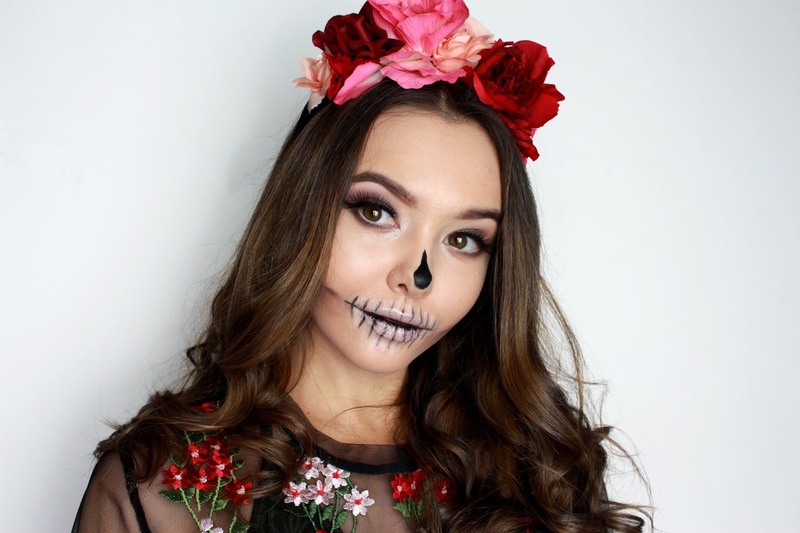 As well as events and parties - there are many makeup artists in the area that are around to make you look beautifully scary with a Halloween makeup look. I used 'Blow LTD' this year and the talented Amelia worked her magic and gave me this beautiful skeleton look for the evening. Blow LTD is a on-the-go beauty app which has launched in Manchester earlier this year. Through the app, customers can enjoy beauty services from the comfort of their own home. There is a wide range of treatments to choose from. I used the app the book a makeup artist for Halloween - this way I could get a halloween look with a bit of glam. Other beauty treatments on the app include: professional hair styling, experienced manicurists, talented makeup artists and more. Blow LTD will also be opening pop up beauty bars in Debenhams Manchester which is exciting! I have noticed the construction of their new stand when shopping. There will be even more opportunities to take advantage of their on-the-go services.